Diabetes in dogs is very similar to human type 1 (juvenile onset) diabetes. 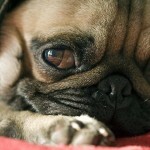 This means that the cause of dog diabetes is primarily autoimmune. (Type 2 diabetes is managed almost exclusively by diet.) While type 1 diabetes is not caused by diet, diet and nutrition do play a large role in managing canine type 1 diabetes. 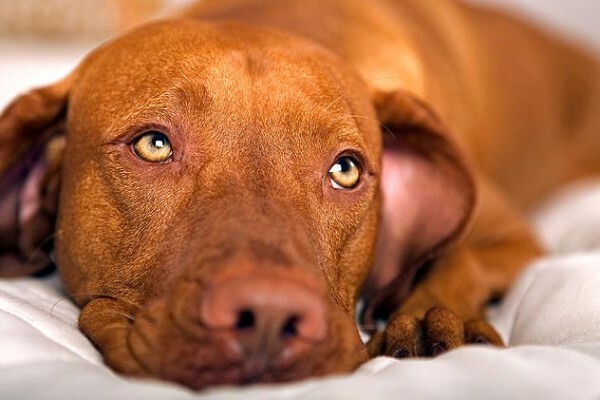 An autoimmune cause of diabetes in a dog means that something in the dog’s immune system has gone wrong; therefore, their immune system is attacking itself, rather than attacking something foreign, like a virus. In the case of diabetes, the immune system is attacking the part of the pancreas that makes insulin. Insulin is necessary for the body to store sugars so it has energy later. The other function of the pancreas is to aid digestion. While diabetes and pancreatitis are two separate illnesses, the outrageously inflamed pancreas can cause one illness to lead to the other; we will want to avoid that if possible. Giving supplements that may help modulate/calm the immune system, prevent overstressing the pancreas, and support its digestive function. Almost all cases of canine diabetes will do best with insulin administration. There are animal-specific insulin products, and there are insulin products made for human use that can work fine in dogs. Every patient responds differently to the different insulins – your veterinarian will help you find what works best for your dog. Most dogs and their owners do great giving insulin shots at home during meal time. Diet plays a major role in the health of a diabetic dog. Most dry foods, and even the prescription dry diets, contain a minimum of 30% carbohydrates. The body turns those carbohydrates into sugars. 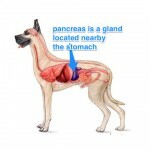 In a healthy dog, insulin would put those sugars into storage on the liver. 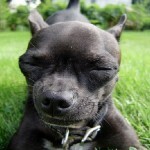 The diabetic dog, however, can be overwhelmed by all the sugar from food and carbohydrates. For this reason, grains are not recommended as they also break down into sugar through digestion. Raw diets are ideal for the diabetic patient – they are very in low carbs, they are grain-free, and are usually pretty low in fat. Treats are another source of issues for the diabetic patient. Many treats are made with grains and/or sugars. Some treats may contain sugar in three different ways: glycerin, dextrose, and sugar. 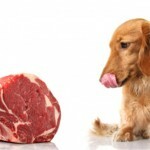 Alternatively, small bits of bacon, freeze-dried liver, or homemade jerky are great treats for the diabetic dog. For some diabetics, dairy can also be a challenge. Dairy can be hard to digest, thus stressing the pancreas, and it can lead to high levels of undesirable fat (bad cholesterol) floating in the blood. Almond or peanut butter on celery would be a great treat instead of cheese. Chromium and Niacinamide help what insulin is made to have a better effect. Less insulin is therefore needed and the pancreas will function better. Bitter Melon is a source of naturally occurring insulin. L-carnitine, Dandelion, Blueberries, and Ginseng each help the body store sugar better so less insulin is required. Inositol in humans helps with diabetic nerve pain. While it is not clear if dogs get nerve pain from diabetes, we all would like to see our dogs as comfortable as possible, so inositol may help. Omega-3 fatty acids with niacinamide really help with insulin function (much better than using either one individually). Digestive enzymes, either betaine for stomach acid production, or pancreatic enzymes, aid the entire digestive process, decrease nausea, and improving quality of life for the diabetic dog. For owners of dogs with diabetes, it’s important to stick with it, don’t hesitate when you see something the least bit off, and get help immediately. The diabetic dog that does well is the one whose human notices subtle changes early rather than waiting to see if things work themselves out. 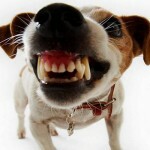 Diabetic dogs are very fragile, and if treated that way, may survive for quite sometime. 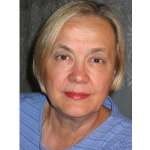 Dr. Cathy Alinovi is the owner of Hoofstock Veterinary Service in Indiana. Certified in Veterinary Food Therapy, Veterinary Acupuncture, Chinese Herbal Therapy, and Aromatherapy, Dr. Cathy’s approach provides whole body support through both the best in veterinary medicine as well as high-quality, all-natural foods, supplements, and health care products. She offers phone consultation services as well as in-office appointments. Visit www.hoofstockvet.com for more information.